Using Microsoft Word for formatting large documents is an obvious choice for a lot of people. 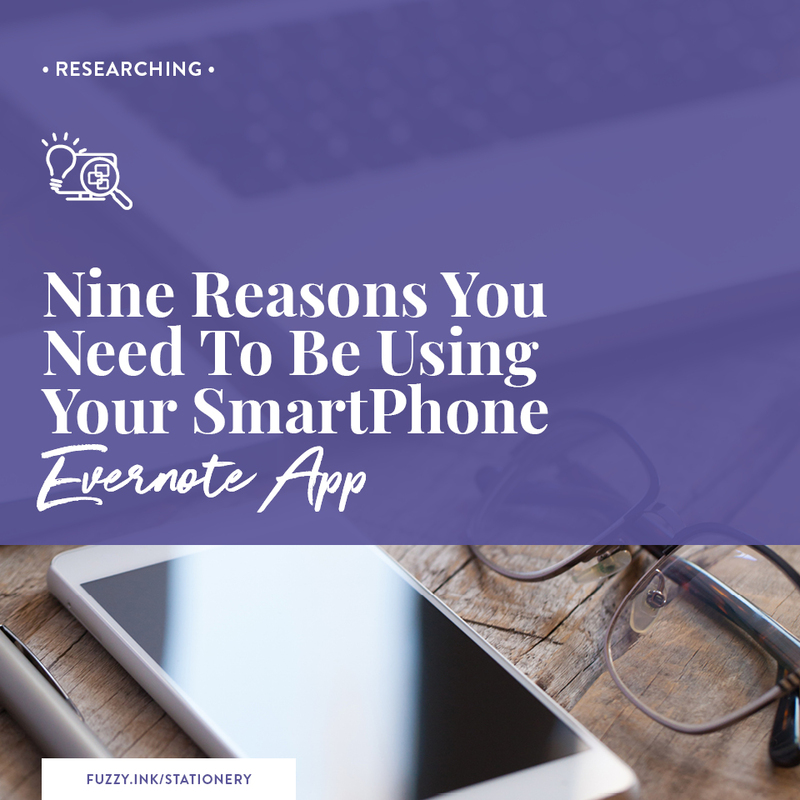 It’s readily available, it seems intuitive, and it’s a powerful word-processing tool. Probably a lot more so than people utilise because it’s so easy to open a blank document and start typing. 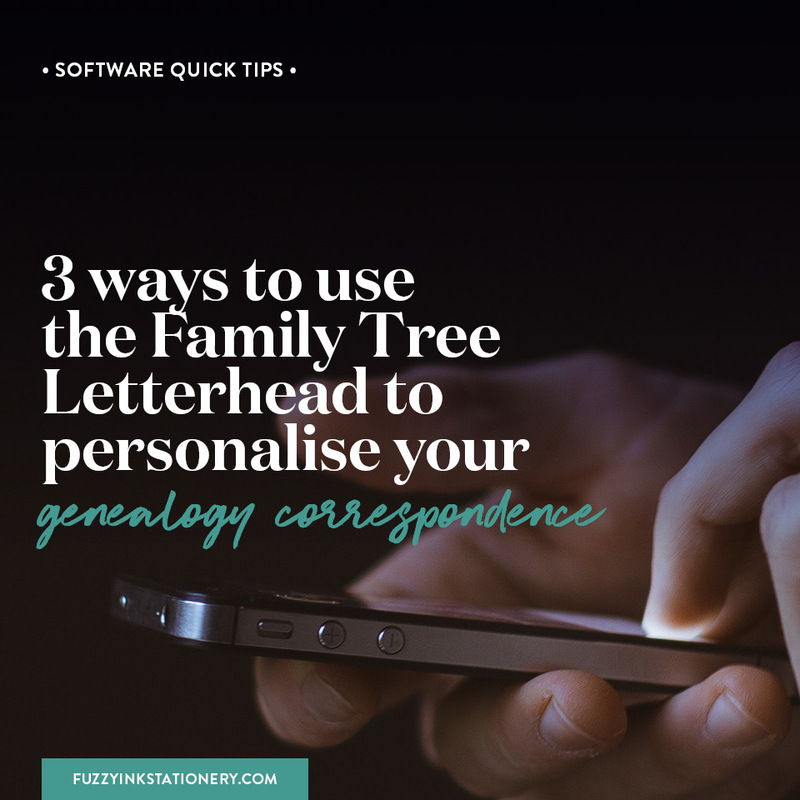 Which is an excellent approach for many types of documents such as a letter to a friend, or notes about your genealogy research. It’s not necessarily the best way to begin the layout of your family history book. Whether you are formatting as you write or creating a final print-ready version, you will want to make sure that what pops out at the end is what you are expecting. So start with the outcome and then work backwards to work out what steps to take to reach that goal. If you aren’t sure, then check out the article 5 planning tips for writing your family history to learn more. 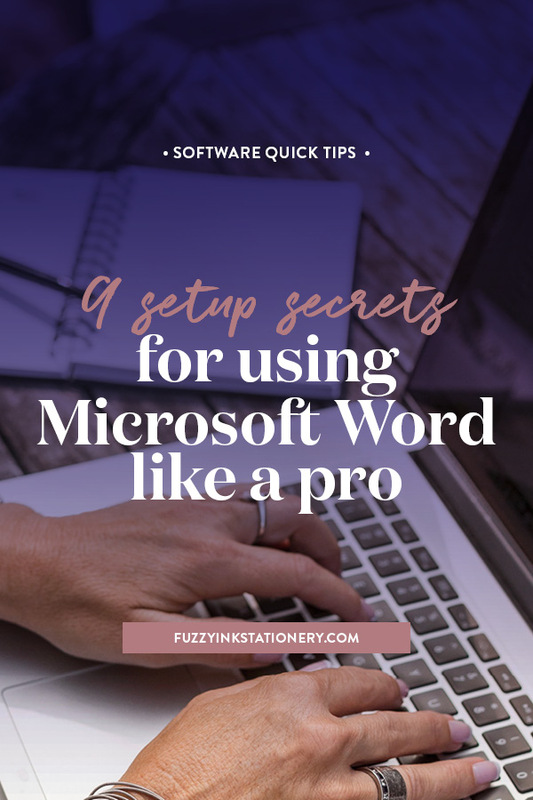 Once you know how you need to output the artwork (that’s designer speak for your finished book), then it’s time to setup your template so you can start using Microsoft Word to tell your ancestors’ stories. 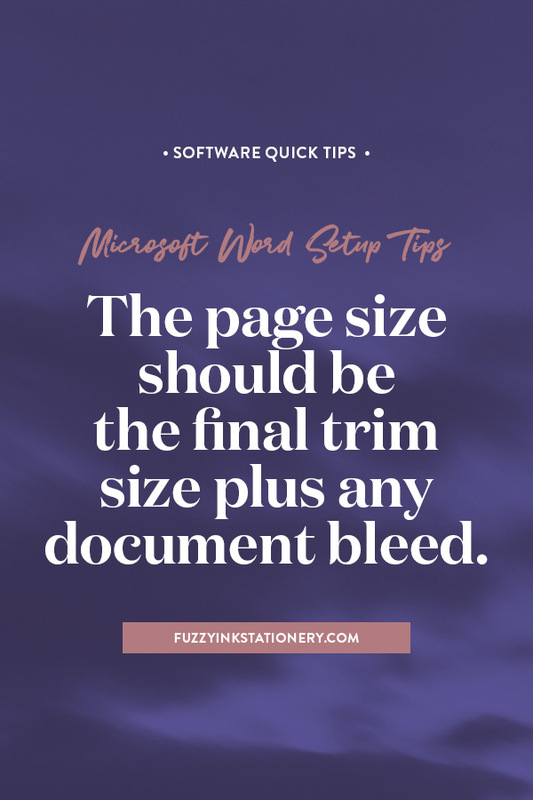 For this setting, you will need to look at the dimensions of the final trimmed page plus ‘bleed’. Bleed is printer speak for when images or colour run to the edge of the paper without a white margin. Check with the printing company you are using to see if you need to include it. Bleed is usually 3mm/0.12in to 5mm/0.2in. If the final trimmed size is 8.5 x 11in then with bleed the page size becomes 8.9 x 11in. 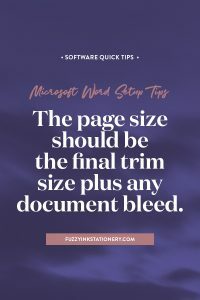 When using Microsoft Word for a custom size, manually create it by typing the numbers into the page setup. If you do this after creating multiple sections, then make sure you apply the change to the whole document. ON THE RIBBON choose Layout > Size and make a selection. For custom pages select More Paper Sizes. Setting margins create space between the edge of the paper and the content area of the document. If you added bleed to the page size, make sure to include this when calculating the margins. So that means add 0.2in (or the value used) to both the left and right margins when using Microsoft Word. ON THE RIBBON choose Layout > Margins and make a selection. For custom margins select Custom Margins. Not sure what mirror margins are? 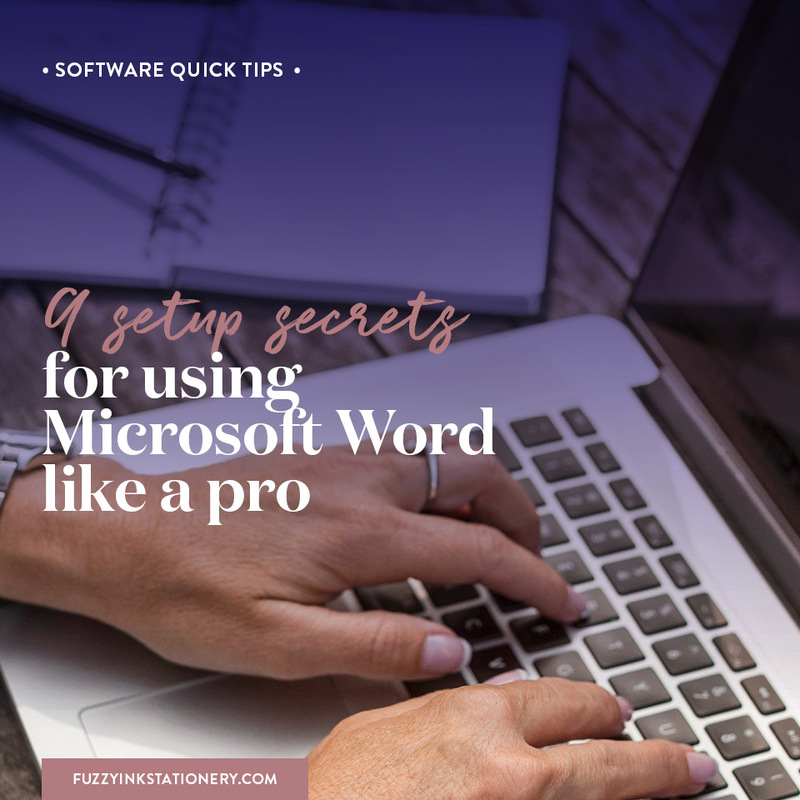 You will see that term when using Microsoft Word, and you want to set up the file for two-sided printing. It’s only necessary when the left and right margins are different values. This setting ensures that the binding edge is the same on all pages. The feature turns on facing pages so that the inside/outside margin of the left page is the mirror of the right (EG inside margins on both pages are the same width as are the outside margins). ON THE RIBBON choose Layout > Margins > Custom Margins and make a selection for Multiple Pages. Headers and footers let you add content that will automatically repeat across pages of a section or the entire document. When using Microsoft Word, you can control the starting position of the header and footer. Another feature is to have different headers/footers for the first page of a section, or for odd and even pages. Content typically includes document/chapter name, date created or revised, author name, draft or revision and page numbers. ON THE RIBBON choose Insert > Header > Edit Header > Header & Footer Tools/Design tab. L to R | Finding header/footer on the ribbon, and changing the settings on the header/footer ribbon. landscape/horizontal where the width is longer than the height. Do you need to change orientation for multiple sections? Use the keyboard shortcut Ctrl + A to select all pages first! ON THE RIBBON choose Layout > Orientation. L to R | Finding orientation on the ribbon, and making a selection. If your book is in a single column, then you don’t need to worry about this setting. It’s only necessary if you want to use multiple columns in your document. Don’t use the predefined columns but set your own to control the spacing between the columns. ON THE RIBBON choose Layout > Columns > More Columns. Choosing theme colors gives you control over the default colors for tables, Smart Art, shapes and charts. There are some predefined palettes, or you can create your own. ON THE RIBBON choose Design > Colors and make a selection. For custom pages select Customize Colors. A font theme sets the default typeface for the general text and heading styles. 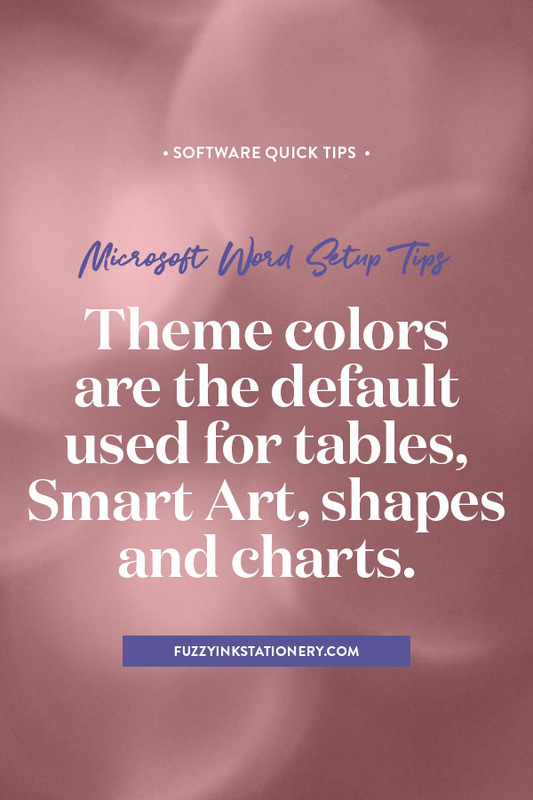 It’s a great way to set up your document because you can quickly change the fonts by updating the theme. Choose a pre-defined set or create your own. You can still use other fonts within the document for critical text or design elements. Modify a specific style or manually apply the typeface to a particular paragraph or phrase. Just remember that any manual formatting you do won’t update automatically so keep a note of what changes you make. ON THE RIBBON choose Design > Fonts and make a selection. For custom color palettes select Customize Fonts. Setting up styles is the part of the document structure that I spend the most time on. This stage can take me two to three times as long as the other eight steps. Now, I don’t say that to overwhelm you but to emphasise how important I think this part is. Why? Because if they set up correctly, then styles will do the heavy lift while you are using Microsoft Word. You add the content, apply the style and just keep going. 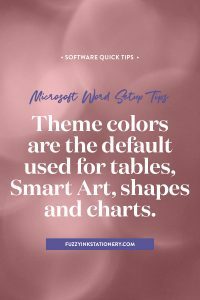 If you new to styles or creating a template, then you’ll be glad that you are using Microsoft Word. Add all the styles you think you’ll need to the Style Gallery, then modify them as you go. The text styles are the ones you’ll add (paragraph, list and character), but don’t forget about table styles. ON THE KEYBOARD press Ctrl + Shift + Alt + S.
Once you’ve finished creating the foundation of your document, save the file as a template. Follow the standard prompts to save the document, but choose template (*.DOTX) as the file type instead of document (*.DOCX). 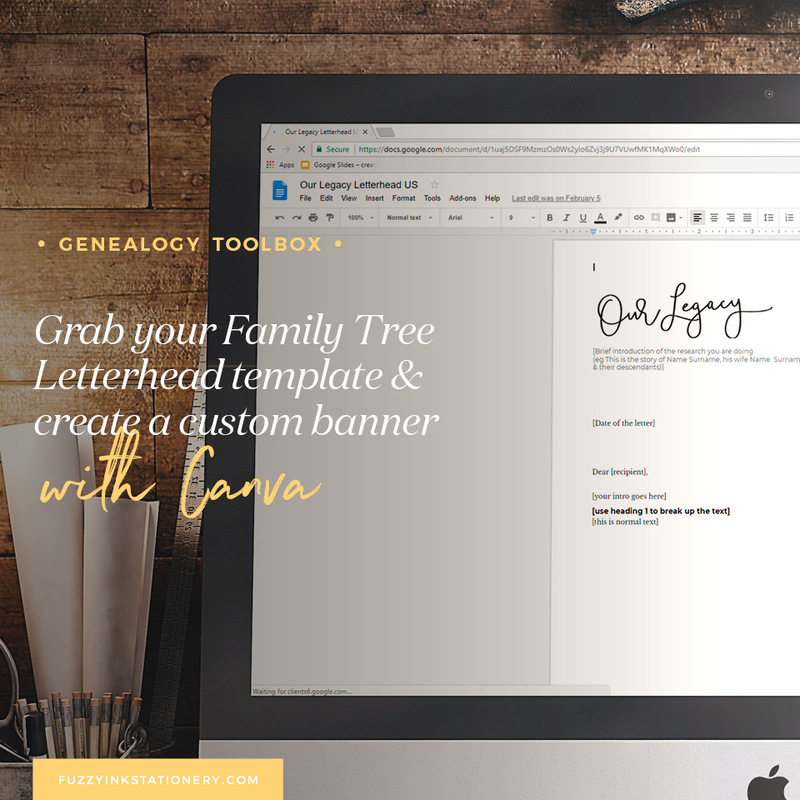 Now you have a clean master file ready for content and design elements to create your family history book. 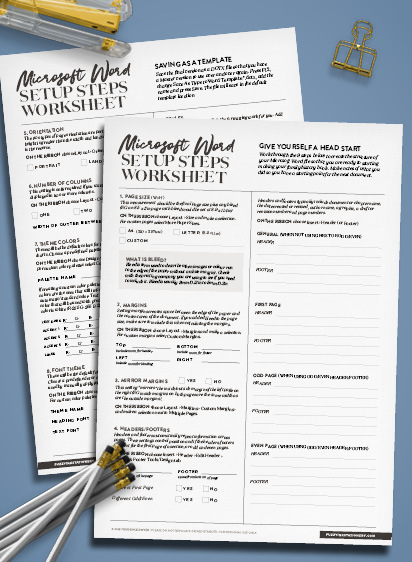 If a printable worksheet would help, then I have one for you! Work through each step to set up your document and make a note of what you did so you have it handy for next time. It’s also helpful in case you have to confirm something with the printer or for peace of mind. Then when you ask yourself ‘did I do that’ you can double check that indeed you did. The above steps are ones that I follow every time I set up a Word template. I work out the outcome and then plan backwards to find the steps that I have to take to get there. I’d love to hear your thoughts and if these tips that you can put to use when creating documents to tell your ancestor stories? Or do you have another setup tip to share? Drop a note in the comments below, send me an email at prudence@fuzzyinkstationery.com or head over to Facebook and leave a comment on the ‘Share Your Story‘ pinned post. Is SNAP Ancestor Edition the secret sauce to teaching your kids about their family history? 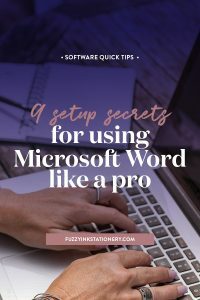 Structure your Word documents for easy formatting​​ of your family history book with this ​FREE ​worksheet that will ​help you ask all the right questions to get the outcome you want. ​I'd like to hear more from Fuzzy Ink Stationery. Please send me email updates about genealogy and storytelling, templates, and training as well as ​any subscriber-only special ​offers.